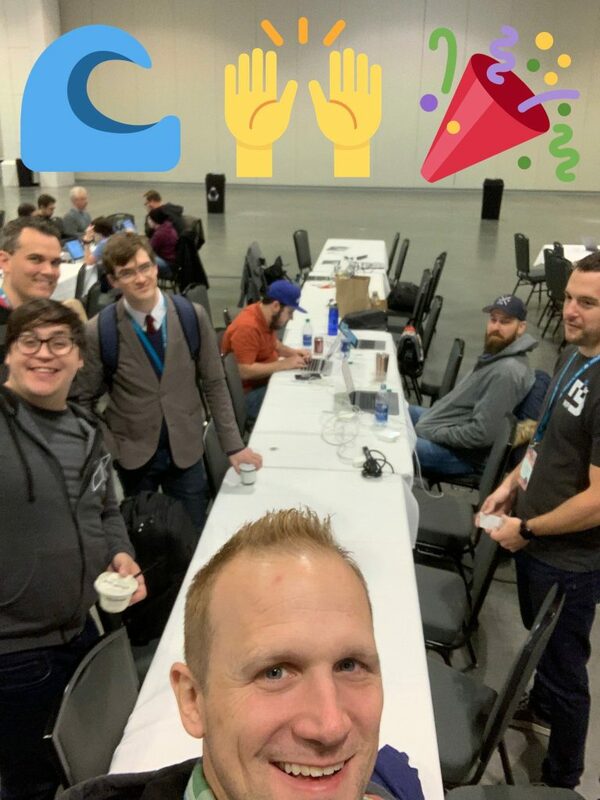 This past weekend we had a handful of folks join us at the Tide table at WordCamp US Contributor Day. Thanks to @valendesigns for helping lead our efforts and to @kkoppenhaver, @croixhaug, @pwtyler, @shadyvb, Charlie Tranen, and @cathibosco1 for contributing their time and efforts to improving Tide! Next up for Tide is completing issues tagged for 1.0.0-beta2 so that we have an endpoint for .ORG to sync PHP Compatibility results from and then eventually for 1.0.0 to release and begin work with Meta to display the PHP Compatibility data for plugins and themes on the .ORG repository.